Beginners should be wise to know their investment objectives and plans and prepare for a long-term strategy. Therefore, assuming you want to do it yourself, as opposed to using an advisor, it is wise to know which mutual fund companies have the best variety of low-cost, no-load funds. You can then go on to the fund selection from there. No-load funds are ideal for beginners because they are free of broker commissions and sales charges, collectively known as "loads," which are intended as payment for advisory services. If you are buying your mutual funds, it is assumed that you have already made the do-it-yourself vs. advisor comparison and have decided to go it alone with your mutual fund purchases. Therefore there is no good reason to pay fees with load funds, especially because no-load funds often provide returns superior to load funds over long-term holding periods. In different words, if you are a buy and hold investor and your investment objective (e.g., retirement) is several years or more away from now, you will likely do best with no-load funds. Here's assuming that you will not stop with just one mutual fund and your investment goals are long-term (more than five years). Therefore you will want to consider the best no-load mutual fund companies that have a wide variety of mutual fund categories and types because you will need to continue building your mutual fund portfolio for diversification. Some of the best no-load mutual fund companies include Vanguard Investments, Fidelity, and T. Rowe Price. Index funds can be a great place to begin building a portfolio of mutual funds because most of them have extremely low expense ratios and can give you exposure to dozens or hundreds of stocks representing various industries in just one fund. Therefore, you can meet the initial goal of getting a low-cost, diversified mutual fund. Again, Vanguard, Fidelity, and T. Rowe Price are good mutual fund companies for index funds. You can also look at Charles Schwab. Balanced Funds: Also called hybrid funds or asset allocation funds, these are mutual funds that invest in a balanced asset allocation of stocks, bonds, and cash. The allocation usually remains fixed and invests according to a stated investment objective or style. For example, Fidelity Balanced Fund (FBALX) has an approximate asset allocation of 65% stocks, 30% bonds, and 5% cash. This is considered a medium risk or moderate portfolio. Target Date Mutual Funds: As the name suggests, Target-Date Mutual Funds invest in a mix of stocks, bonds, and cash that is appropriate for a person investing until a certain year. 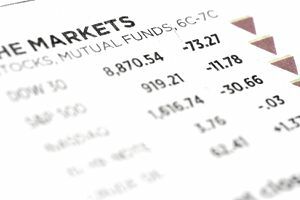 As the target date approaches, the fund manager will gradually decrease market risk by shifting assets out of stocks and into bonds and cash, which is what an individual investor would do themselves manually. Therefore, target-date mutual funds are a type of "set it and forget it" investment. For example, if you are saving for retirement and think you may retire around the year 2035, a good choice for you might be Vanguard Target Retirement 2035 (VTTHX). Then you can end your research, periodically add new money to the fund, and watch your nest egg grow as you go on about living your life! You can do find out everything you need to know at one of the best mutual fund research sites. But before you begin to research, you'll want to know what features you are looking for and how to analyze a mutual fund. This includes more than just past performance. As you know, you'll want to look for no-load funds with low expense ratios, which can increase odds of acceptable future returns. These features are especially important for index funds, which are also called passively-managed funds because the fund manager is not attempting to "beat the market" but rather match an index (passively). There are also actively-managed funds, where the fund manager is actively trying to obtain the best returns for a reasonable amount of risk. These funds will naturally have higher expense ratios because the additional research required increases the expenses of managing the fund. With actively-managed funds, you will want to check manager tenure to be sure the fund manager has been at the helm for at least three years (and hopefully five years or more). This is assurance that the performance of the fund is due to the current manager and not some other person who recently retired or left the fund company to manage a different fund. Before buying your first mutual fund, you are wise to understand how to build a portfolio of mutual funds. This returns to the initial point of knowing your long-term plans for investing and basing your fund purchase on this plan. You can look at this as drawing and reviewing a house plan before building its foundation. Above all keep things simple and be sure not to over-think or over-analyze mutual funds. Sometimes just getting started is the best idea. The details can work themselves out later. Waiting too long to invest will begin to undermine your investment goals.